Documents within the American College of Nurse-Midwives archival collection in the National Library of Medicine’s History of Medicine Division address the importance and history of the midwifery and nurse-midwife traditions. In this collection are a handful of items providing a unique Caribbean context for this subject; specifically the history of midwifery in St. Croix, U.S. Virgin Islands, the home of my great-grandfather. 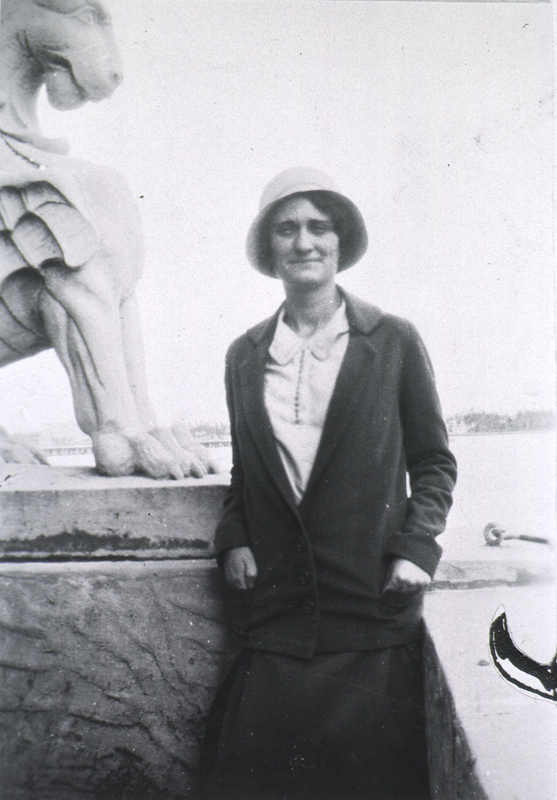 In a 1955 Caribbean Nursing Chronicle article, a copy of which is held in the collection, Lalla Mary Goggans, a pioneer in the profession of nurse-midwifery, traces the roots of the Virgin Island nurse-midwife tradition to Danish colonial practices. The earliest historical records cited by Goggans referring to midwifery in Denmark date back to 1537. A Danish church ordnance from this year encourages nurse-midwives to ‘keep sober’ and maintain the highest moral standards, as their profession literally placed them in the position of holding life or death in their hands. Goggans was unable to determine what year the first midwife came to the Caribbean from Denmark, but the practice of midwifery was known to exist on plantations in the Virgin Islands during the Danish colonial period (1666–1917) because midwives were officially appointed by the crown and were responsible for the safe deliveries of countless children. Goggans’ research cited a 1776 St. Croix Gazette article that identified one “Mrs. Sorenson” working as a midwife on the island during the previous year, and listed the fees the people of her jurisdiction would pay for her services. In acknowledgement of their life-and-death duties, midwives were given grave secular and sacred responsibilities. They were required to contact doctors if the birth in progress jeopardized the safety and health of the mother or child, and in a reflection of the devout Christian faith of the Danish colonists, midwives were allowed to christen children that might not survive birth. From the year 1884 forward, government policies were set in place on the island of St. Croix to regulate the number of midwives assigned to different districts. These regulations also provided subsidies to assist midwives with housing costs, payment for transportation, and school fees. The government support for midwives increased in 1890 when natives of the Virgin Islands were sent to Denmark for training, after which they would return to their homeland to train apprentices in the midwife tradition. In 1917, St. Croix was purchased by the United States and became a U. S. Territory. Following this transition, the call of duty for midwives began stretching beyond the birthing room. 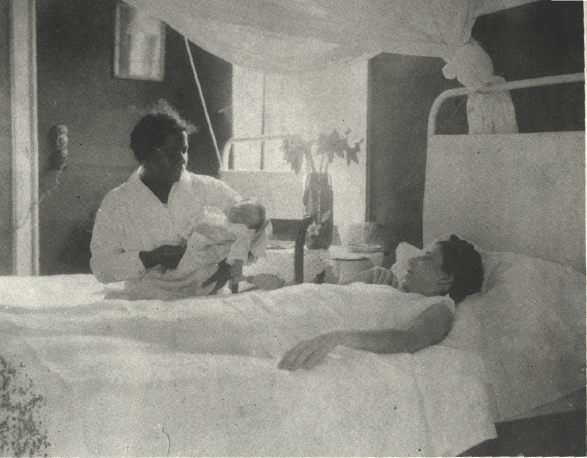 Beginning in 1920, midwives and nurse-midwives traveled to patients in various village areas of St. Croix, providing pre- and post-natal care and training to mothers. “Welfare Cars” traveled the St. Croix routes, providing pasteurized milk, scales to ensure that babies were growing at a healthy rate, ointments, dressings, and bandages. In the 1940’s staff development programs were made available to the nurse midwives of St. Croix in the U. S. at New York Hospital, Cornell University, and Freedman’s Hospital in Washington D.C., among others. Today there are 39 nurse-midwifery programs accredited by the American College of Nurse-Midwives in the United States. The graduates of these programs continue to improve primary health care services for women in rural and inner-city areas across the country and around the world, just as their predecessors have for centuries in the St. Croix. Alexsandra Mitchell was a 2013 Association of Research Libraries Career Enhancement Program Fellow in the History of Medicine Division and a Brooklyn based international research scholar. I am quite sure that traditional, non-nurse midwifes served the women previously. Would be interested to know about these women. Life, and birth, existed in VI prior to colonialism, I would imagine!